On behalf of all at Paragon we would first like to thank each and every one of you for your unwavering support since the School’s name change and rebranding exercise was announced. the togetherness and stability the School has become known for remains unshaken. Each campus has reported an even more positive atmosphere than expected since the start of the new term which has reiterated the School’s belief that it was the right time to start the next stage of its journey. 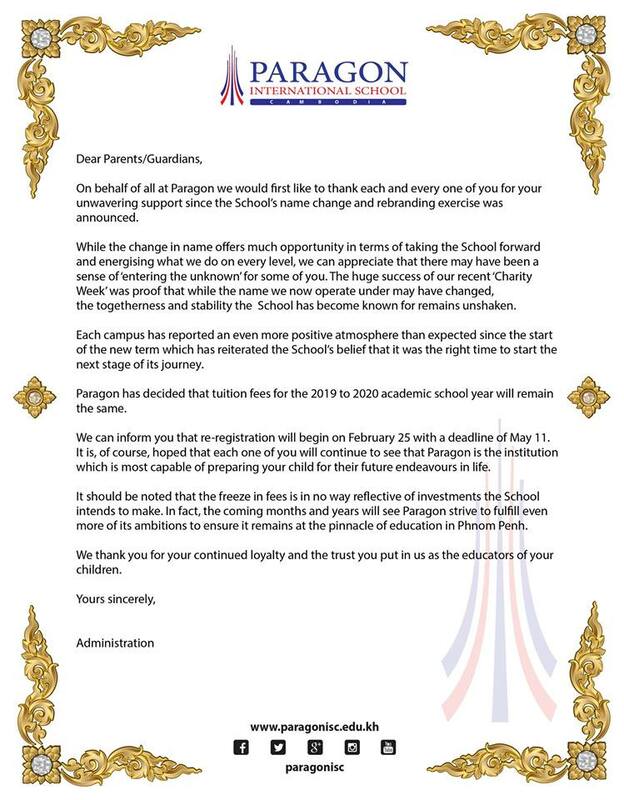 Paragon has decided that tuition fees for the 2019 to 2020 academic school year will remain the same. We can inform you that re-registration will begin on February 25 with a deadline of May 11. It is, of course, hoped that each one of you will continue to see that Paragon is the institution which is most capable of preparing your child for their future endeavours in life. It should be noted that the freeze in fees is in no way reflective of investments the School intends to make. 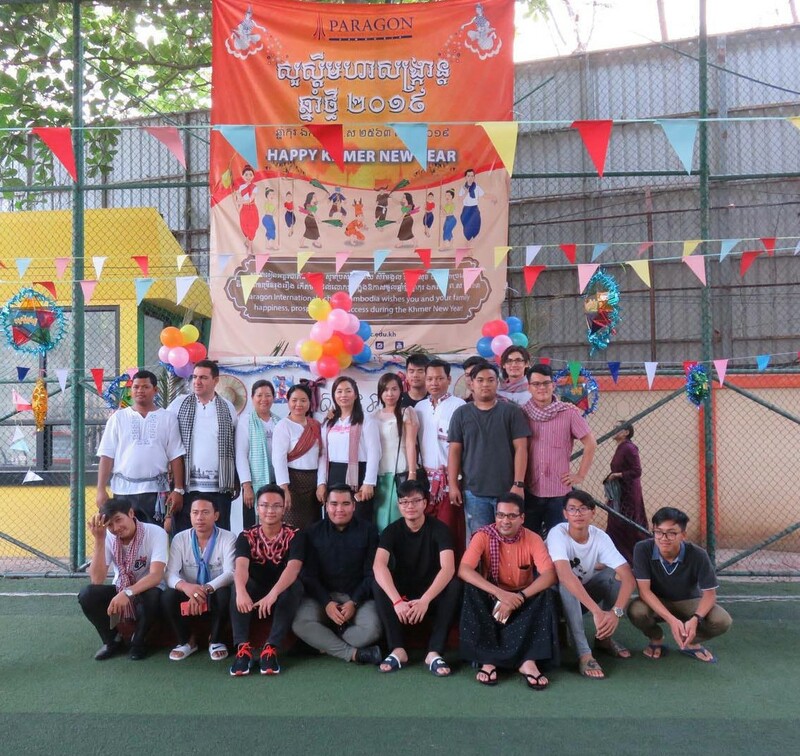 In fact, the coming months and years will see Paragon strive to fulfill even more of its ambitions to ensure it remains at the pinnacle of education in Phnom Penh. We thank you for your continued loyalty and the trust you put in us as the educators of your children.